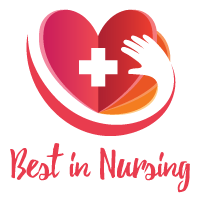 Neelam Shrestha of UW Health has been recognized as a “Leader in Nursing” among “America’s Best Nurses” for 2017. She will be sharing her knowledge and expertise in Psychiatric Care, Mental Health, and Nursing. With more than twenty years of experience in the Nursing field, Neelam serves as a crucial asset in her role as a registered nurse at UWHealth. UW Health is a nationally recognized healthcare system of the University of Wisconsin-Madison offering care without compromise through service, scholarship, science, and social responsibility to more than 600,000 patients in the Upper Midwest and beyond. Originally from Nepal, Neelam earned her Bachelors of Science in Nursing degree from Edgewood College in 1995. As a registered nurse in the Psychiatry Department, her day-to-day responsibilities include assessing problems, insuring the proper administration of medication, evaluating a patient’s progress and creating social/ support groups. Neelam attributes her level of success to patience and determination. She became involved in the nursing field due to the universal truth “Service to Mankind is Service to God.” Neelam desired to care for patients with dignity and respect and it brings her much joy to see a smile on the face of patients who suffer from suicidal thoughts and depression. Moreover, she wears a flower in her hair daily as a form of aroma therapy to foster hope in her patients. 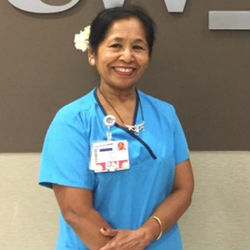 Due to her commitment to the well-being of her patients, Neelam is recognized as the 2014 Best Nurse, Excellent Care Award 2015, and the 2015 Daisy Award. The Daisy Award is considered the highest nomination in UW Health and Neelam was voted more than seventy times for the award due to her remarkable care and extraordinary compassion. Looking toward future, Neelam hopes to continue treating mental health patients by providing exceptional care and making a difference in their lives. In her free time, she enjoys gardening, Zumba, and Yoga. Neelam participates in the Madison Marathon every year where she has placed second and fourth several times. Patients refer to her as an Angel, Pillow Queens and Daisy Nurse. “Neelam connected with both me the patient and me the person. Her very very professional skills looked after every need I the patient had, but didn’t stop until all the needs and comfort and security and faith in a hopeful future, had been gently attended to with me the person. Neelam connected with me and my condition with the same degree of compassion and love as though I had been her own child and grandchild, all wrapped into one. And she was compassionately relentless with her message of hope for my future. Neelam was touchstone, my inspiration, my cheerleader, and Neelam became my friend. She is a part of the success of my stay here, without whom my chances may have been much dimmer. The love and compassion in her eyes, and the hopefulness of her message helped me find the courage to continue forward, one hour at a time; one day at a time. Neelam was kind, compassionate and caring. She took the time to talk and really listen to me. She encouraged me to focus on myself first and concentrate on my physical and mental health first. Neelam lifted my spirits when I thought I could not even lift my head. She did not give up on me even when I was being extremely difficult and stubborn. Neelam identified with me as a person and not just a patient. I am very grateful to have had her as a nurse, she helped me to reframe and refocus my thoughts and recognize when I was acting on decipher thoughts. Thank you Neelam, I will never forget how you helped me.